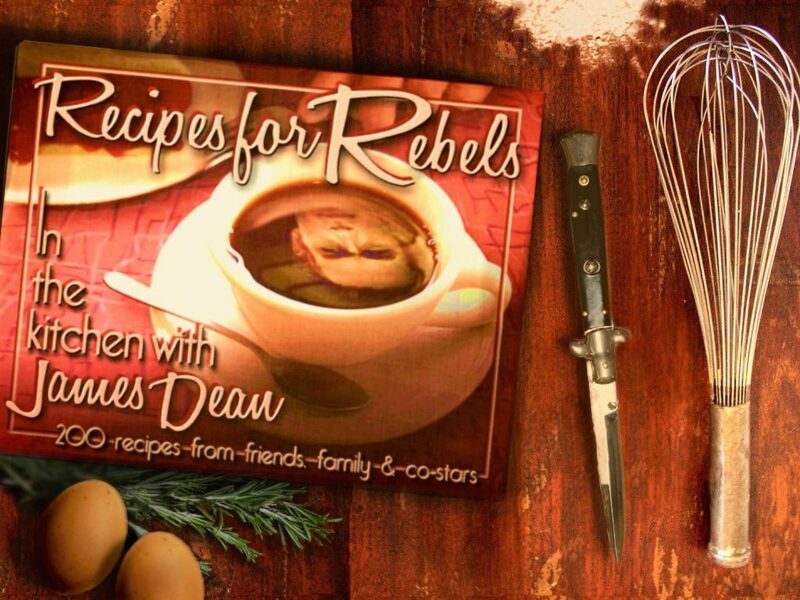 I had intended on making this for the James Dean birthday dinner I made with my chum Greg of Recipes For Rebels. We did not understand Grace’s method of coddling an egg, but we gave it a good go. BB set about the dressing with VIGOUR. The salad was utterly delicious! 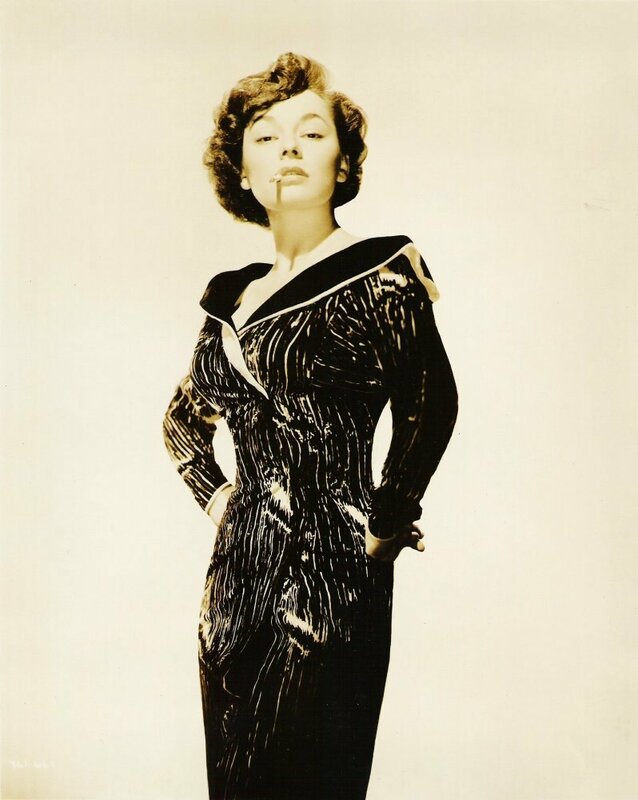 I have since learned more about egg coddling thanks to the spectacular Ruth Roman (Ruth boils her egg for 60 seconds. no more). Post about HER Caesar Salad coming up soon. Until then, here’s the way Grace makes hers… If you don’t have a copy of Greg Swenson’s Recipes for Rebels book, from where this is PINCHED, do get yourself a copy, it’s ace. 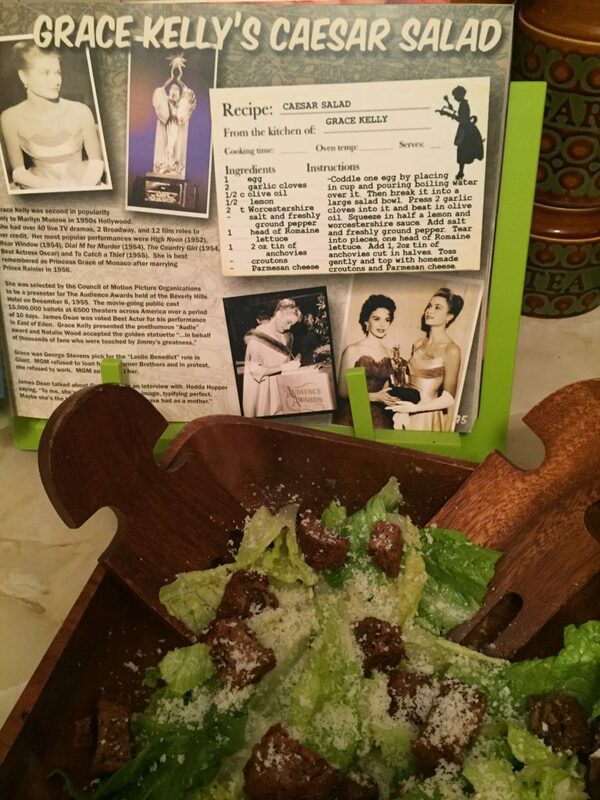 A Caesar Salad fit for a Princess! 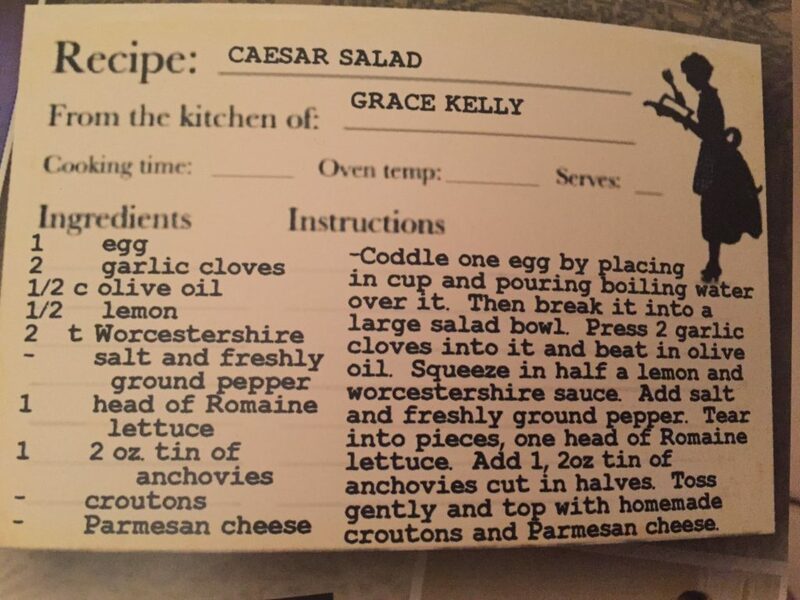 I do love Caesar salad but don’t get round to making it very often. 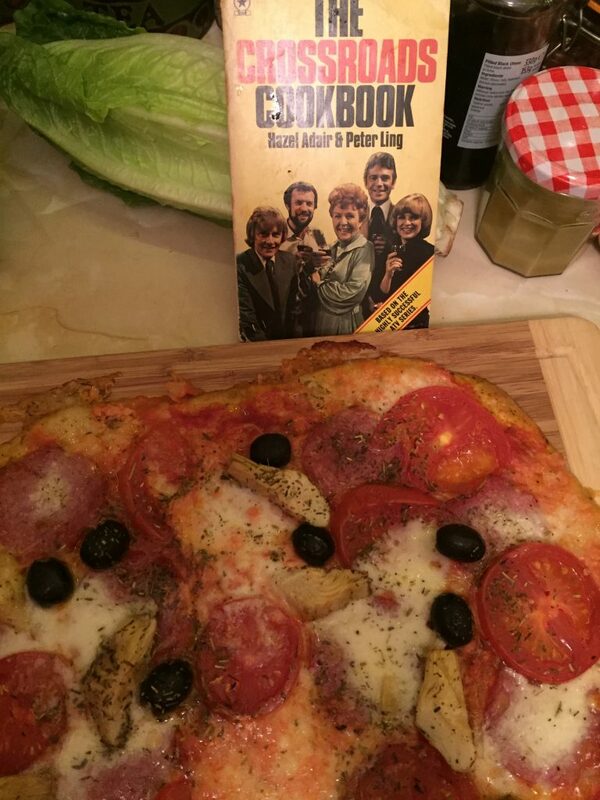 And is that artichokes on a pizza from the Crossroads recipe book? Who’d have thought they’d go for something so exotic?! Haha! 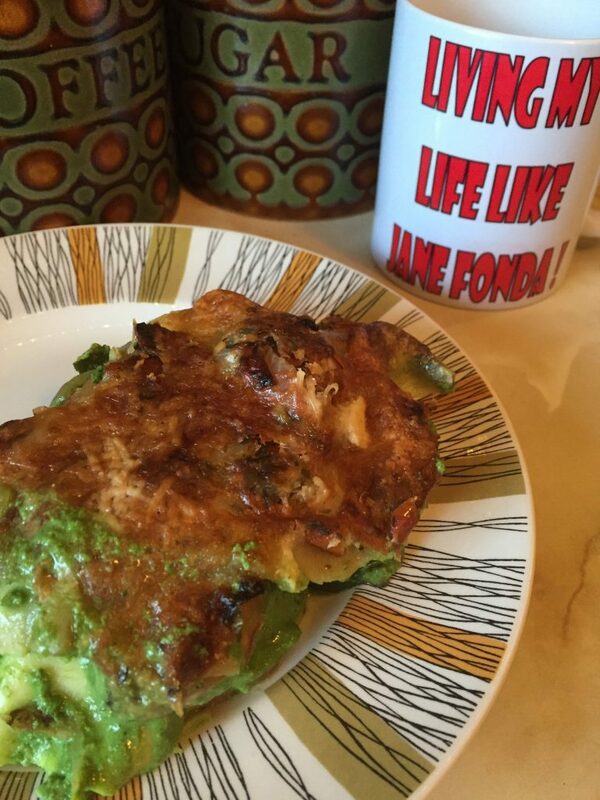 The photo shows the egg after I’d poured the boiling water over it in the shell, then cracked it into the mug. 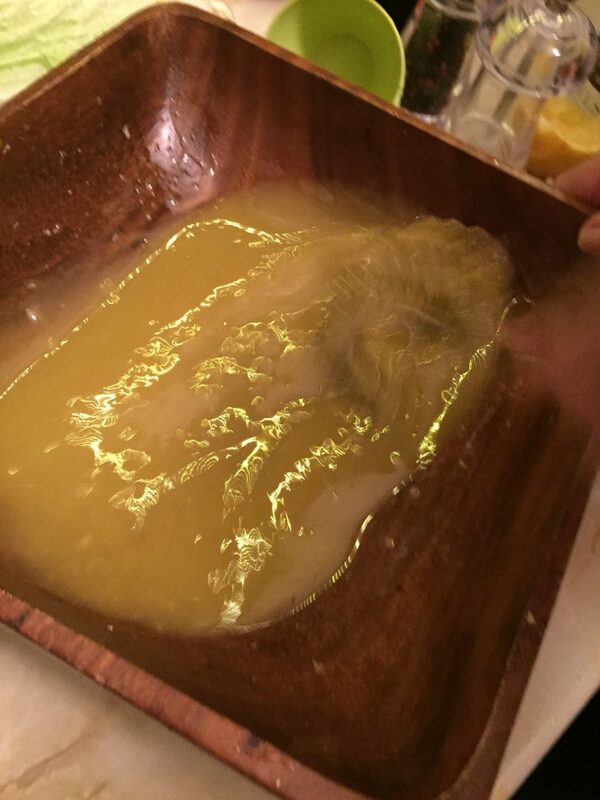 I guess I was expecting it to be more solid – but maybe that’s the way it is supposed to be… I think the Ruth Roman method is better, her recipe is coming soon. The Crossroads recipe book is ACE! I’m going to make more from it for sure. The pizza recipe is really just for the base, which is interesting as it has oregano in the dough. The headnote of the recipe says, “Gear the filling to the palate of your family and you can’t go wrong.” It’s a really weird book, written by Hazel Adair and Peter Ling who wrote Crossroads itself. 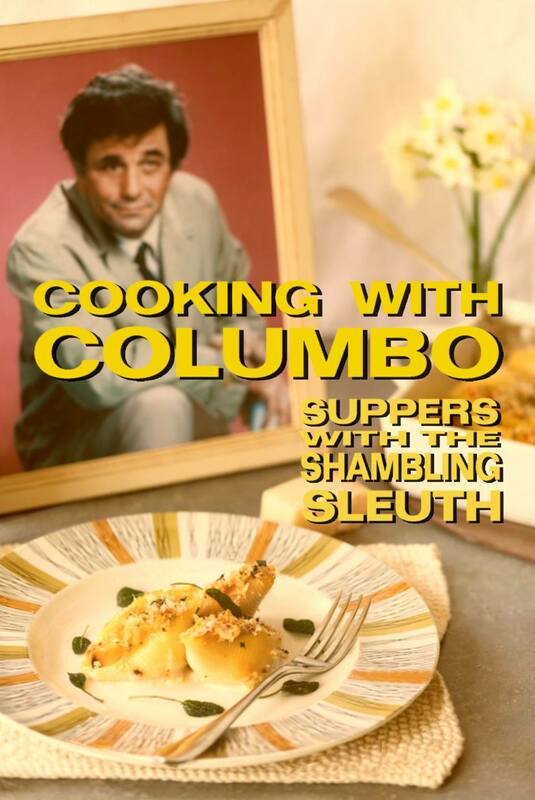 But one or other of them must have been a really good cook, the recipes are really interesting. It’s bonkers though, it’s written as if the Motel REALLY EXISTS! Time warp! Black Panther/Herbie seeking Fag Ash Lil. You have been on my mind for some time and in my dreams last night. Would love to reconnect for rejuvenation and refreshment before I lose more teeth and hair. That was a lovely dinner We eat a LOT of Caesar salad at ours as Missy B is a big fan. 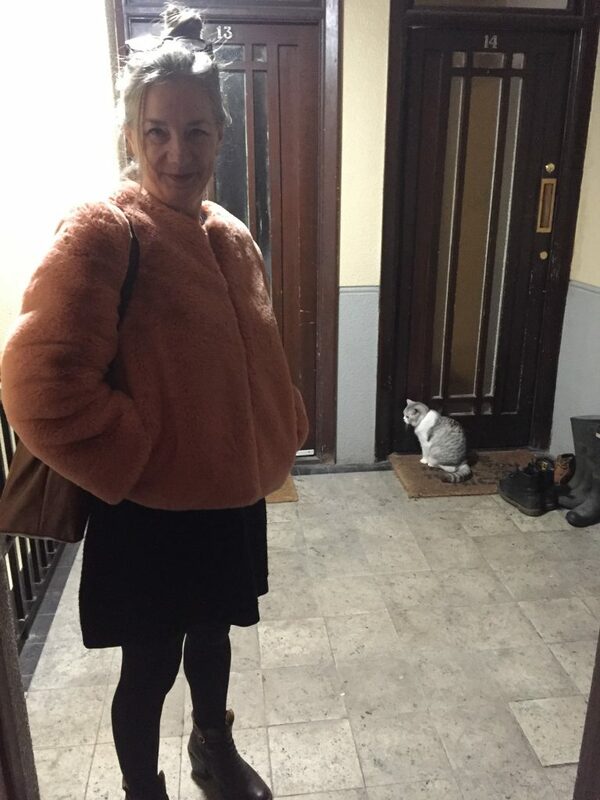 When I’m in a hurry )when am I not?? 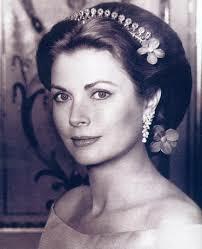 ), I tend cheat with a dollop or two of bought. 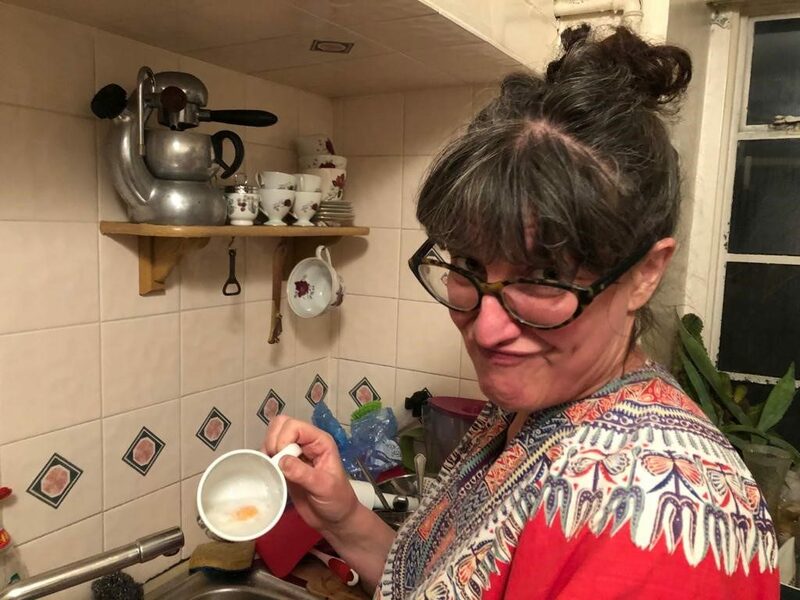 But having gone down the trad route a couple of times with you Jenny, I realise that it doesn’t take long to do it properly and that it is totally delicious and well worth the effort and the coddling research!